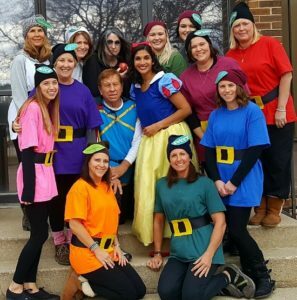 At Greater Madison Orthodontics, we welcome creativity and humor. 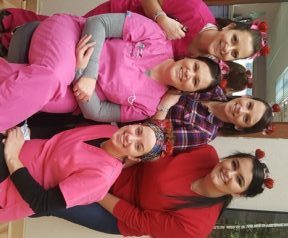 We celebrate holidays with yummy treats and encourage our patients to engage in our crazy dress up days. Monthly, we run contests, rewarding our patients with anything from gift cards to tablets. Come be part of our awesome Greater Madison Orthodontics family! Amazing! So glad we found this place! After being rejected by a couple of different orthodontists, Greater Madison Orthodontics was more than willing to work with us. The wonderful staff helped to advocate for my daughter’s orthodontic needs,and worked tirelessly for nearly a year to resolve issues preventing insurance from going through. Dr. Fennig is wonderful! He is sharp and knowledgeable; a true expert in his field. He is great with the kids! He is warm, kind, and funny! He cracks jokes and seems to always have a smile on his face! His office staff and assistants are kind and welcoming. They make an effort to know your name and always greet you with a smile. I highly recommend Greater Madison Ortho if you are in need of orthodontic work!